It’s time to be thinking about kidding. Goat-kidding. Birthing. Jethro, the buck, came to visit November 3 thru February 1. Gertie was in heat November 3. If she conceived then, she is due around the first of April. 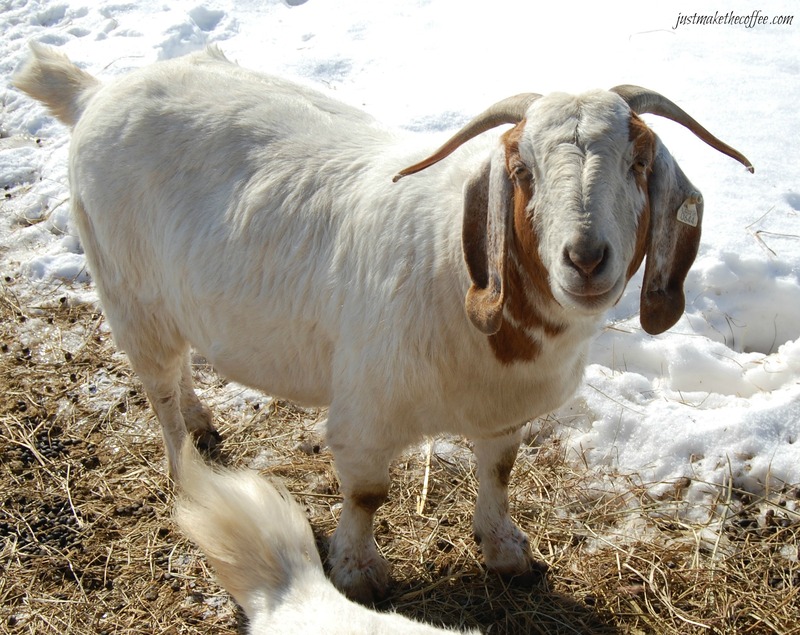 Goats’ gestation is approximately 150 days. Gabby and Posey … I have no idea when/if. Gabby looks expectant. Posey isn’t saying. Goats don’t like to be alone. They like to have a buddy. Ideally, I will be able to pen the expectant mother up prior to kidding. This way, if she has problems, it is easier to assist. Additionally, if the weather is cold, rainy, windy, etc. I can have a heat lamp on for the kid(s) to stay warm under. The problem with three goats is that if I pen two together or near each other, the third one is left alone. I guess I need a fourth … 😉 This morning I started evaluating the grain bin that sits in the goat lot. Maybe we could make a couple of kidding pens in it. The goats would still be in their familiar lot, with the smaller and draftier shed still available for those not birthing. I have a very long, heavy-duty extension cord that I think would make it possible. Rigging it so the goats can’t get to it will be the challenge. She looks like she is daring me to try! 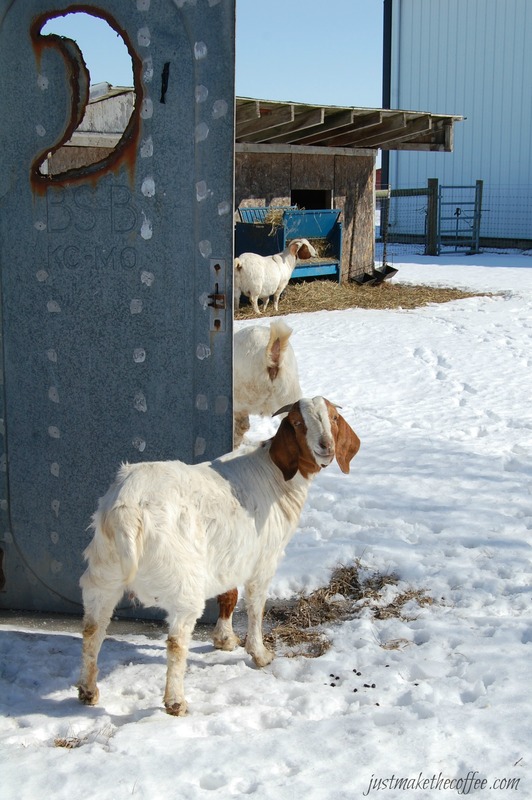 This entry was posted in Boer Goats, Country Living and tagged Boer Goat Kidding, chores, Illinois Country Life. Bookmark the permalink. 5 Responses to Preparing to kid. Not joking. Ah, goats! I love them. 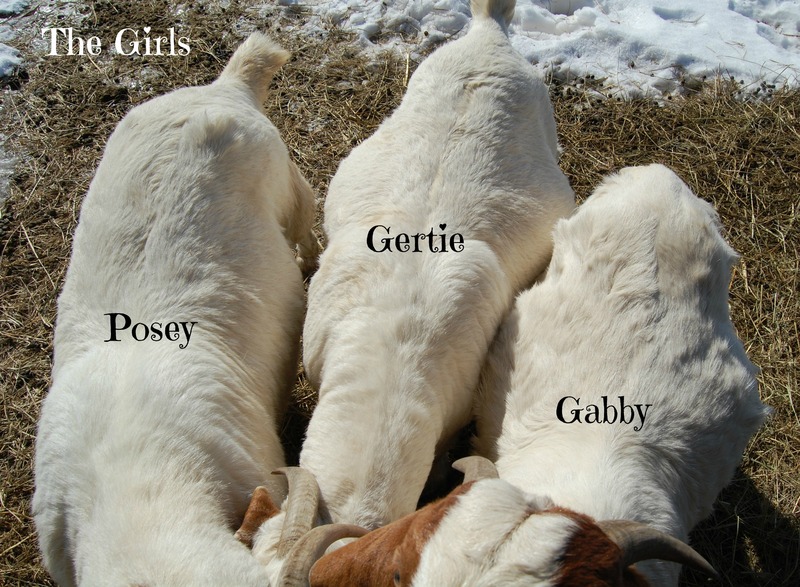 And do you know what I love even more than goats? I have really missed having baby goats around! They definitely add a cuteness factor to the farm. They do look like they’re up to something! 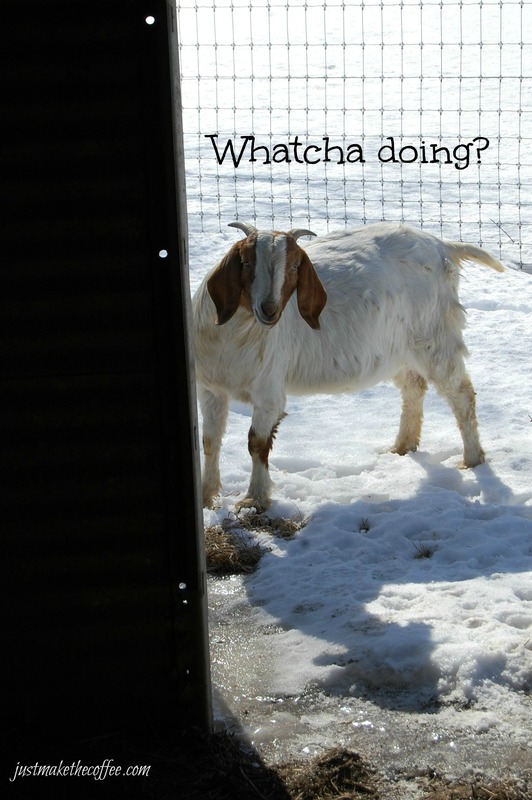 Goats have a way of always looking like they are up to something!